Irish govt appoints "Internet Czar"
I read in the irish Independent this morning that the Irish Govt has appointed an “Internet Czar” – someone to keep us all safe on the Internet. John Laffan is due to take up his role as the director of the Office for Internet Safety (OIS) next month. Justice Minister Brian Lenihan said that Mr Laffan would help to develop programmes and policies designed to make the internet a safer place. Phew! I feel so relieved now. In fairness to the Government, people often criticise them for a lack of foresight and for not planning ahead. 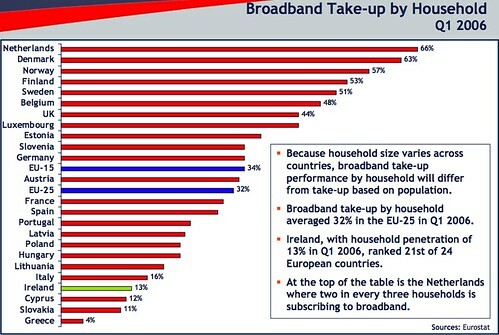 In this case, with Ireland having one of the most expensive, slowest and lowest uptake of broadband in the OECD the government is obviously planning for a time when the Irish people have Internet access. Although it will have no power to fine internet service providers, Mr Lenihan said that he would not hesitate to provide the OIS with “legislative teeth” if necessary. Why bother create the position, if it is a powerless one? What a waste. Again. Never mind the health system, or the total lack of any investment in ICT in education (or the total lack of investment in education), as long as Bertie stops the tribunals asking searching questions and we have an Internet Czar, all will be well in the world. With any luck they will soon appoint a Book Czar to make books safe for us too. Some people like that awful Roddy Doyle use terrible language in their books. And what about a People Czar? Don’t the government know that all over the world there are people walking around completely naked under their clothes? We need to keep the children safe. What cretin came up with this silly idea? 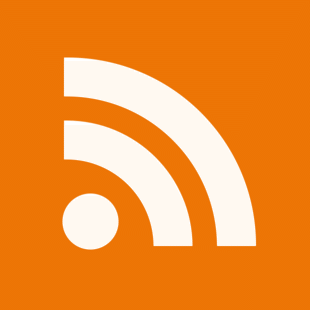 There have been a couple of posts recently on the sad state of broadband in Ireland – specifically these posts from Sean McNamara and Damien . I’m on a 3mb dsl connection. And that is one of the faster connections it is possible to get in this country! That costs me â‚¬40 per month plus 21% vat. The cost [of broadband] in all of the top 10 countries averages less than $5 per month/megabit. $5 per mb per month – that’s less than â‚¬4 per mb per month. I’m paying over â‚¬13 per mb per month (not including vat) and even then, I can only get 3mb. If I want any more than that I need all six numbers in the lotto. Ireland is an island nation – it looks like the current administration are determined to see that we remain cut off from the rest of the world, the modern equivalent of De Valera‘s isolationist policies. 3 Ireland's Mobile broadband offering – slow and unstable? Getting broadband from your mobile operator is a very tempting proposition as I have mentioned previously. It allows you to finally get rid of that landline you so rarely use (and pay a fortune in monthly charges for) and mobile broadband means you can take it with you when you travel – no more looking for wifi hotspots. However, reading FrankP’s experience with 3 Ireland’s mobile broadband offering I think I’ll hold off on going the 3 Ireland route for mobile broadband for now. Is Frank’s experience with 3 Ireland unique or have others had similar issues? Paul Giltenan of Choice Communications has promised me a review O2 broadband modem to trial so I’m looking forward to seeing how that works. I wonder are O2 customers having similar problems – they are, after all, using the same Huawei usb modem. And if this is a more general problem than 3 Ireland Mobile, should Comreg be getting involved? Of course we all know the telcos find Comreg about as intimidating as Bambi. ForfÃ¡s* released a damning report on the state of broadband in Ireland on 30th November 2006. Remember, ForfÃ¡s is an Irish governmental agency operating under the auspices of the Department of Enterprise, Trade and Employment. In this graph you can see the poor uptake of broadband in Ireland – Ireland (in green near the bottom) ranks 21st out of 24 EU countries surveyed, slightly ahead of Slovakia and Cyprus. 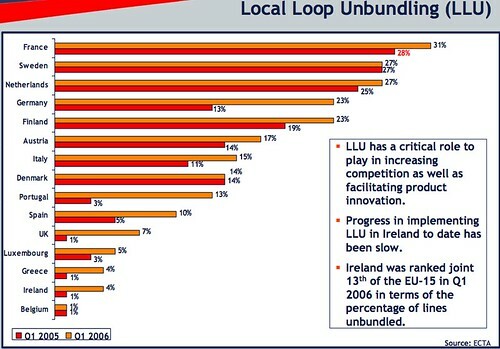 One of the principal reasons for this, according to the ForfÃ¡s report is the unbelievably slow rate of Local Loop Unbundling (LLU) in Ireland as the incumbent telecom (Eircom) aided and abetted by its partner Comreg the does everything in its power to thwart any attempts to unbundle. Check out the graph to see how far behind we are internationally in terms of LLU. Noel Dempsey has been the minister for Communications, Marine and Natural Resources happily overseeing Ireland’s lack of broadband and all that this means for our competitiveness internationally. Eircom’s desire to stop LLU, I can understand, but you have to wonder what are the motivations of Comreg and Noel Dempsey for perpetuating this state of affairs. They are supposed to be working in the interests of the Irish people. I can only guess what promises have been made to whom. I wrote a post not so long ago about the state of broadband worldwide and how poorly served we are in Ireland. I showed a table of broadband speeds and prices worldwide – based on the table the average broadband speed was 18mb for 44 US$ per month. However, Lupan, a Japanese reader commented on the post correcting the figure for Japan. His broadband is 100mb for the equivalent of â‚¬25 per month! Incredible, my own connection is 3mb for â‚¬50 per month and that’s good compared to many in Ireland. If i lived in Japan I could get 33 times the speed for half the price I pay in Ireland. Noel Dempsey, our minister for broadband suppression should take up thumb twiddling or some other pastime equally suited to his (in)abilities. Notice Japan has 50mb broadband for less than $32 per month? The Irish minister for communications broadband suppression should be shot or at least fired for gross incompetence.